Anyone with four walls knows that angles can be a challenge. But instead of wishing they could disappear – make them stand out. Here are a few ideas to let them take centre stage in any room. 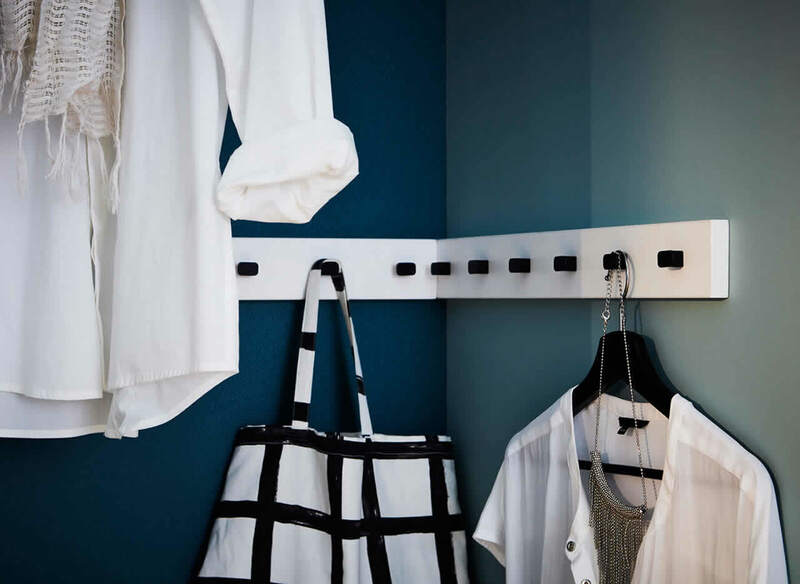 You know that space in your bedroom that’s too small for a proper closet and too big to ignore? Turn that void into your personal fashion nook! 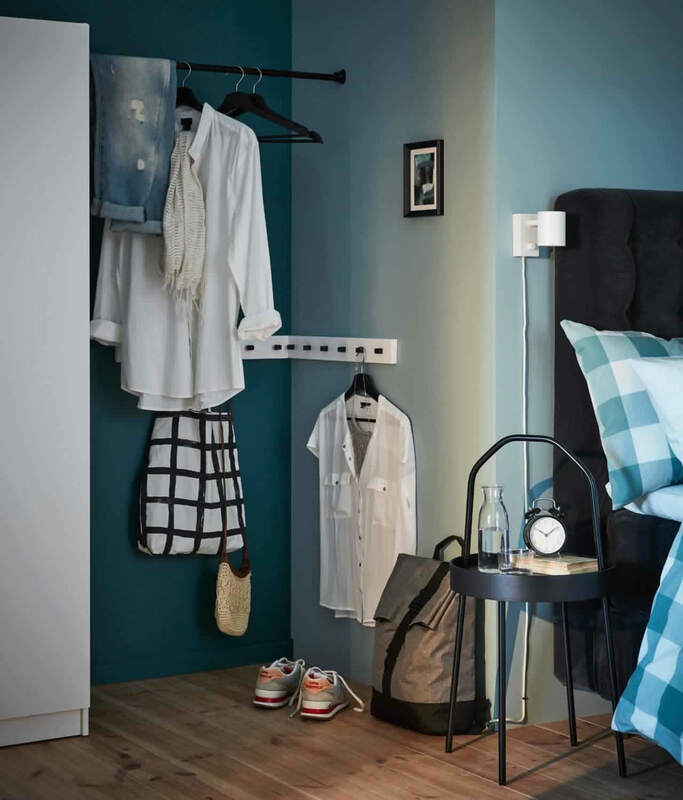 Prepare tomorrow’s outfit, hang garments you ponder wearing, and get a cosy fi tting room to start your day in. 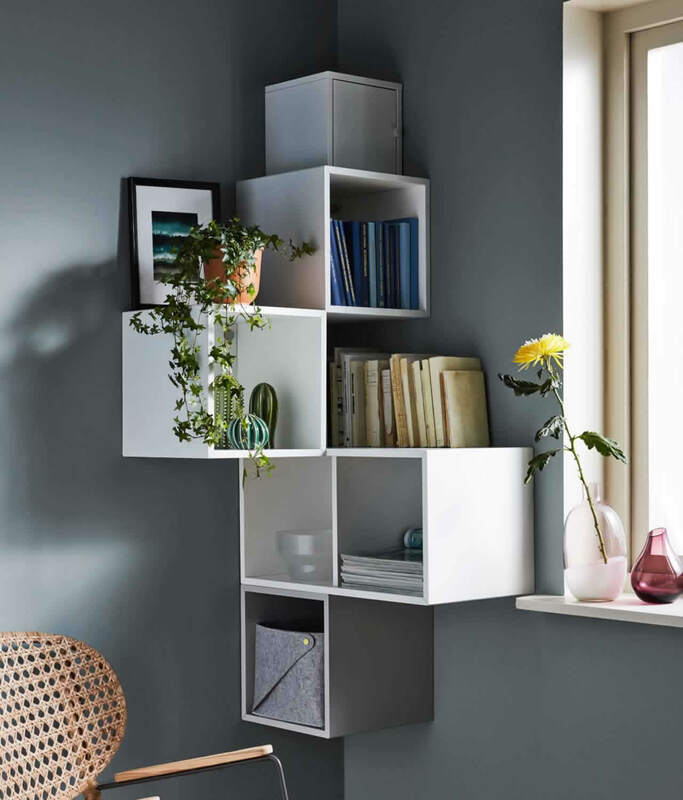 Who decides how a bookcase is supposed to look? In this case, you. EKET and LIXHULT can be combined to form new, fascinating angles. 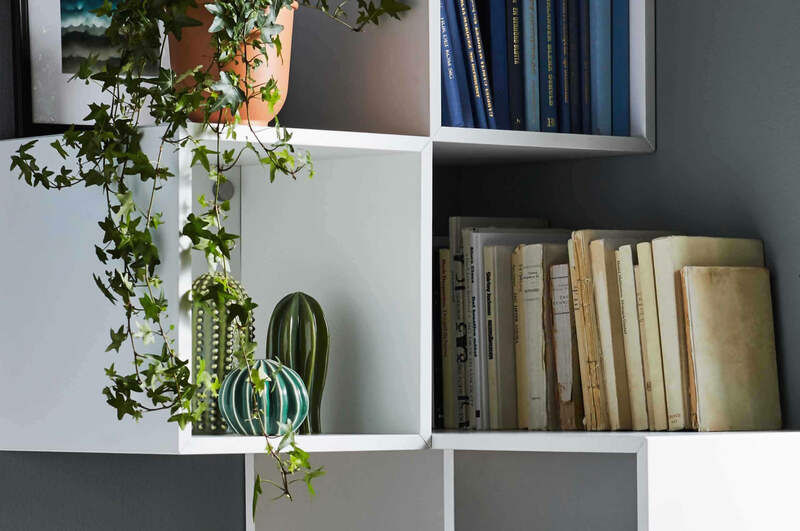 Here with an almost architectural feeling – while offering ample space for books, storage and display. Some room angles stand out more than others. Why not go even further? Get a set of matching frames, use placement for added effect – and create something so visible you can’t take your eyes off it.